Driving a Toyota vehicle comes with a strong appreciation for quality and value. After all, the brand is synonymous with efficiency and long-lasting comfort. But even the most durable Toyota models require repair work and maintenance now and then. Keep your Toyota vehicle in top-notch condition for years to come. Schedule a repair service with Hollenshade’s Auto Service. 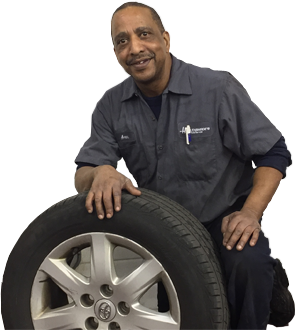 We are automotive professionals and certified ASE technicians.Our experienced Toyota mechanics have been serving car owners in Towson, Maryland since 1939. Grinding, vibrating, and pulsing brakes can be a sign that brake system repair is needed. Maintain your car’s safety with our Toyota brake repair services. We replace your brake pads along with other needed hardware. Our ASE-certified technicians use genuine, OEM parts for your Toyota vehicle. We will conduct a comprehensive evaluation of your Toyota car, perform the necessary repairs, and then road tests the vehicle to assess your brake system’s functionality. Extend the lifespan of your Toyota and stay on top of engine repair and maintenance services. When you bring in your vehicle for Toyota engine repair and maintenance, you can expect us to get the job done right the first time. We tell you what’s going on under the hood of your Toyota vehicle. Our technicians conduct standard tune-ups, Toyota filter replacement, fuel system cleaning, and more. Car owners in Towson, Maryland can trust us for an accurate diagnosis as well as quality workmanship. Improve the performance of your vehicle with a properly maintained fuel system. The professional technicians at Hollenshade’s conduct Toyota fuel system repair and services. Their team in Towson can service your fuel system’s primary components, including the fuel injectors, pump, tank, lines, and injection pump assemblies. Our expert mechanics use the proper tools and follow factory specifications to ensure we complete the work accurately and on time. Schedule an appointment to ensure optimal vehicle performance today. Get a quick oil change in Towson. Hollenshade’s provides fast Toyota oil change services. With regularly scheduled oil changes, you can ensure that your Toyota’s engine stays well-lubricated and has enough protection from excessive friction and heat. On top of that, you can keep your engine running more efficiently for longer mileage. Drivers in Towson can trust our family car mechanics to use the proper grade of engine oil and the highest quality filter for their Toyota car or truck. Get an honest diagnosis and accurate estimate for your Toyota vehicle. Call us today to schedule an appointment.